“John Anderson (born 28 November 1932 or 1933) is a former British television personality best known as referee and official trainer on the UK TV show, Gladiators. He has previously worked as a teacher and as a coach for Commonwealth Games and Olympic Games athletes, including Commonwealth Games champion and former World Record Holder David Moorcroft. John was National Coach for the Amateur Athletics Association of England and subsequently the first full time National Coach in Scotland. He was coach to an Olympian at every Olympics from 1964 to 2000 and has coached 5 world record holders and 170 GB Internationals in every event. As a young man, John wanted to teach and was passionate about all kinds of sport. He represented Scotland as a schoolboy footballer. This was in the 1950’s when there was no formal coach education structure available in the country. The only way in to sport as a career was to train as a physical education teacher and there were only two options available to him on that front – Jordanhill College in Scotland or Loughborough in England. Jordanhill College is now of course part of Strathclyde University in Glasgow. John went to Jordanhill and subsequently did a degree at the Open University and went into teaching in Junior Secondary School the east end of Glasgow. Progress as a coach was then down to self study and self motivation – he read voraciously, mainly in the Mitchell Library in Glasgow. He was interested in all sports and went on the FA football coaching course at Loughborough. He did so well that he became the first home Scot to gain the prestigious Full FA Coaching Certificate. It should be noted that at that time only 4 were awarded every year and none had ever been awarded to a ‘home Scot.’ When he came back home with the qualification, football clubs didn’t want to know. There was no desire to use his qualification from those in the sport in Scotland where the clubs all seemed content to do what they had always been doing. 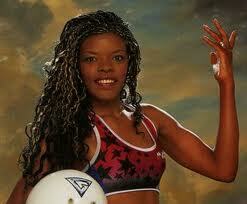 He went on teaching and covered such sports as gymnastics and swimming as well as football. He reckons that these helped his future coaching of athletes – all experiences are useful and teach the interested coach, it raised his awareness of the coaching process and taught him how to motivate all kinds of people in different sports, and much more. He had been a pupil at Queen’s Park Secondary School at the same time as Ally MacLeod. They became firm friends and played together for the Scotland Schools team then when John was National Coach, Ally was manager of the Scottish football team. At a personal level, John was best man when Ally was married. 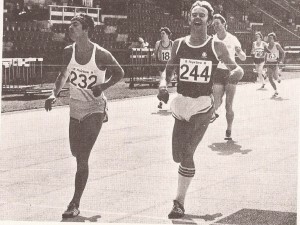 Many in Scottish athletics have stories about John at this time – for instance Helen Donald tells of the time she was running in the WAAA’s championships at Crystal Palace and, coming off the last bend in third place was encouraged by John, who was there with his Maryhill athletes, roaring her on and wearing his kilt! Anyway, Maryhill Ladies AC took off and his initial goal of ‘best club in Scotland in three years’ was achieved – use the link and see how well they did. Never a man to stand still and let inertia govern his conduct as so many do, he contacted his colleagues in other schools and asked them to send along any talented girls that they had and, while they were at it, to send along their parents as well! They were all used and the parents who were helping with the coaching and training of the girls, used to attend classes that he held at his Mum’s house on Sundays He always wanted to know more, and attended a summer school at Loughborough College. In an attempt to test himself, he decided to take all the Senior Coach awards that were available. This was a mammoth undertaking and I cannot imagine any coach doing it today: in fact I have only ever heard of John and Wilf attempting it. He did this – as did Wilf Paish – and then when he heard that new post had been created, that of a peripatetic national coach in England and Wales, he applied. He was given the job and travelled the length and breadth of England and Wales coaching and working with coaches. He even collected some athletes who had no access to coaching or who needed help. This was when there was no national TV, no emails, no mobile phones and communication sometimes took a long time. There was in many clubs no scientific basis for what they were doing – they were doing what their predecessors had done for donkey’s years. He didn’t like that idea. So he started reading again – back to the Mitchell Library, and he wrote to people and sometimes there was a long time for a reply because he was dependent on the postal service. Then he discovered Geoff Dyson’s book, “The Mechanics Of Athletics” with its scientific approach to the body, information that wouldn’t change , that was scientifically and mathematically based. As he says, his coaching went from being hopeful to being scientific. 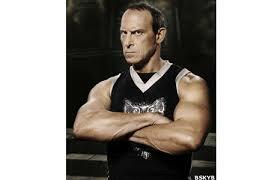 Later he found Tim Noakes and his work was also assimilated into the training process. Already a voracious reader, he continued to be so despite the increasing levels of success that his athletes had. If he was going to coach somebody then he had to have a scientific basis for what he was going to do or he would not do it. That has not changed – all training has to have a scientific underpinning. 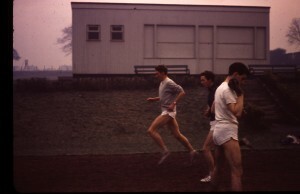 It was at this point that he was asked to do some coaching with the Glasgow High Kelvinside RFC by a rugby friend who was also into athletics. John did some work with them but it was mainly sprints and speed development. The sessions are still remembered by some of those who took part – one chap recalls doing pre-season training on the big pitch at Old Anniesland. Rumour hath it that they disagreed over what constituted a warm-up! The sessions were hard work as Kenny Hamilton, now director of rugby at Glasgow Hawks recalls “3!… 2!…. 1! – I remember him well. A fair amount of resistance-running – possibly the first I experienced which used tyres. I seem to remember a conversation about stretching He was very enthusiastic about stretching muscles – a comparatively foreign concept in rugby circles in those days. He was delivering a talk some place and was asked about how long each stretch should be held for ……. “8 seconds he replied” This then became a bit of a standard but he quietly admitted that there was absolutely no science behind it! However, I can confirm that we were all bloody fit that year, except Cammy!” Cammy Little who was a very good rugby player (he was one of Glasgow’s first contracted players and also played for the Barbarians) says he missed the sessions as it was summer and he played cricket: an old tactic that worked a treat!! John says he was not really a rugby man but it’s funny how these things go around: he is now living near Leicester and since the Chief Exec is a friend he goes along to see the Tigers play and in 2012 even went to Twickenhan to see the Scottish match. He also admits that he has done some work with the Leicester Academy boys and focused on sprinting. The only thing that he reckons might be queried is whether his interpretation of what their (Dyson and company’s) work had been, was fair. In response to that he can only look at the results of his work with various athletes. With 5 world record holders and 170 GB internationals then there can be a fair assumption that his interpretations have been appropriate. He always measures every coach on the basis of their output. Not if they have only ever had one outstanding athlete – anybody might have an outstanding talent simply by chance – but have there been improvements in all of the athletes that they have coached. John always had talented athletes who came to him who were improved further by his insights and methods. 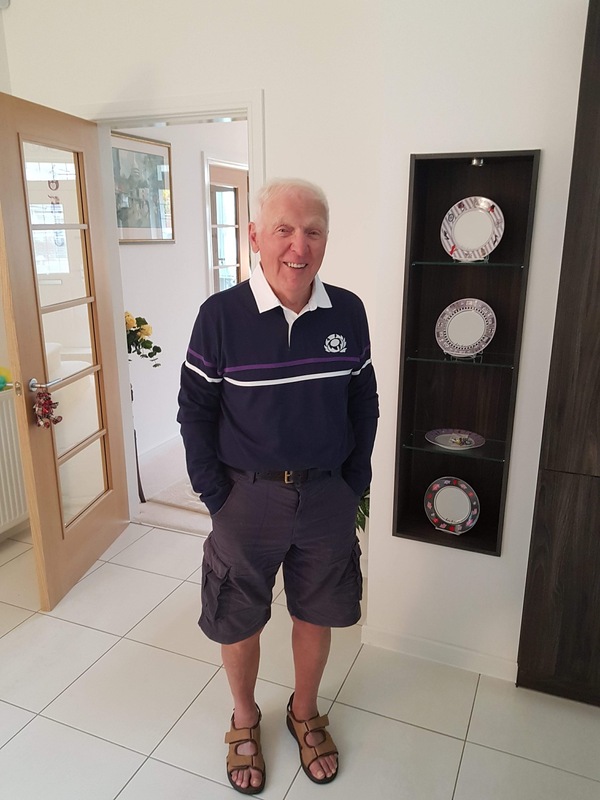 Among those in Scotland to benefit from his coaching were Leslie Watson, Moira Kerr, Duncan Middleton, Graeme Grant, Hugh Barrow, Hamish Telfer (a notable coach in his own right), Craig Douglas, Lindy Carruthers, and the sisters Alix and Jinty Jamieson. 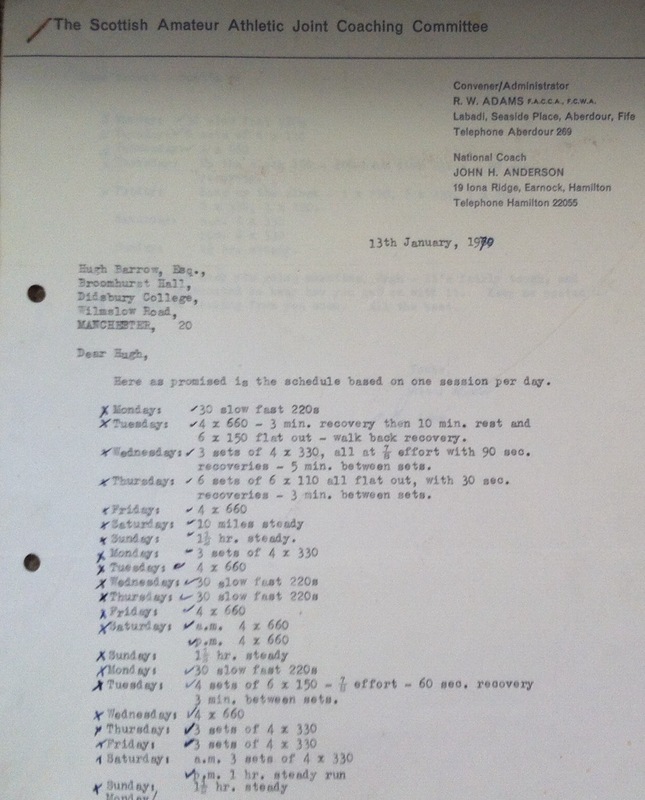 The set-up in Glasgow at the time was interesting in that coaches co-operated with each other and Tom Williamson and John worked together on some of the same athletes. No warm down shower; Back on blue train to office. It was there that I first spoke to John – I had gone along to see what this session that was spoken of was about and like everybody else was very impressed. 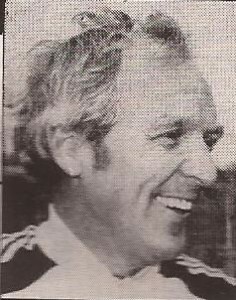 Hugh, who had been coached for the previous eight years by Johnny Stirling at Victoria Park, switched coaches and began to train with John from 1966. 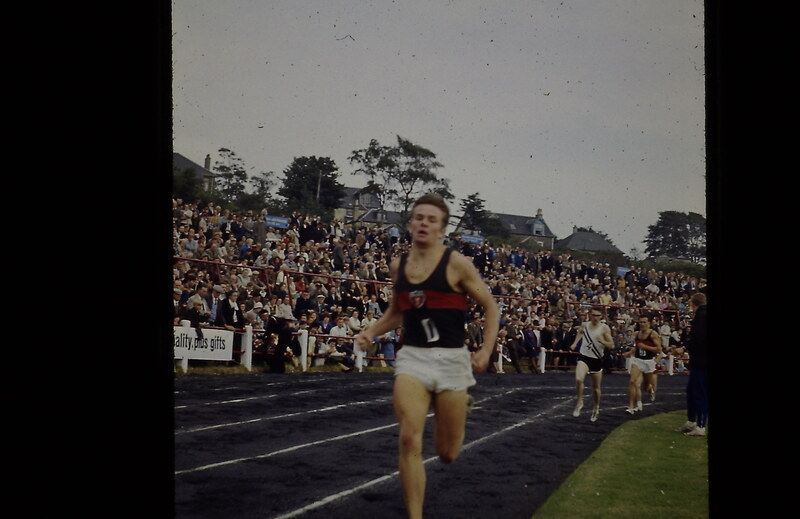 He had been AAA’s Junior One Mile champion, and was the world 16 year old mile record holder which was only broken by Jim Ryun and trained as noted with some of the best half-milers the country has produced under John’s guidance at Westerlands at lunchtime, as well as at the club. John travelled a lot – unlike some National coaches. I once formulated the theory that one particular national coach’s car always broke down at Ingliston – and a lot of his communication was done by letter. 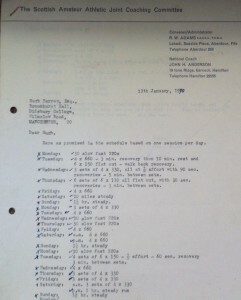 An example of this is a letter sent to Hugh in 1970, reproduced below. The second half with the more personal correspondence is omitted but this does show the detail that he sent the runners, even at that relatively early stage in his career. His first ever GB runner came from this period: it was Hugh Baillie of Bellahouston Harriers who had that distinction when he ran in the 4 x 440 yards relay. I mentioned earlier that he worked with the Scottish Schools on their squad training days and he brought the very best of coaches with him. For instance to one such day that he was organising at Scotstoun, he had Alex Naylor, Eddie Taylor, Sandy Ewen and professional runner Michael Glen, plus from England and from the ranks of the best athletes, there were Vic Mitchell, Mike Lindsay, Peter Warden and Menzies Campbell with athletes such as Graeme Grant, Hugh Barrow, Sandy Robertson and Don Halliday as ‘coaching assistants.’ That is by any standards a remarkable line-up. To have it for Schools athletes shows the priority given to appropriate development of young athletes. John’s coaching career was really taking off and when I checked some figures with John he confirmed that he had indeed coached over 170 GB athletes as Wiki had said. A look at some of them would be very informative. 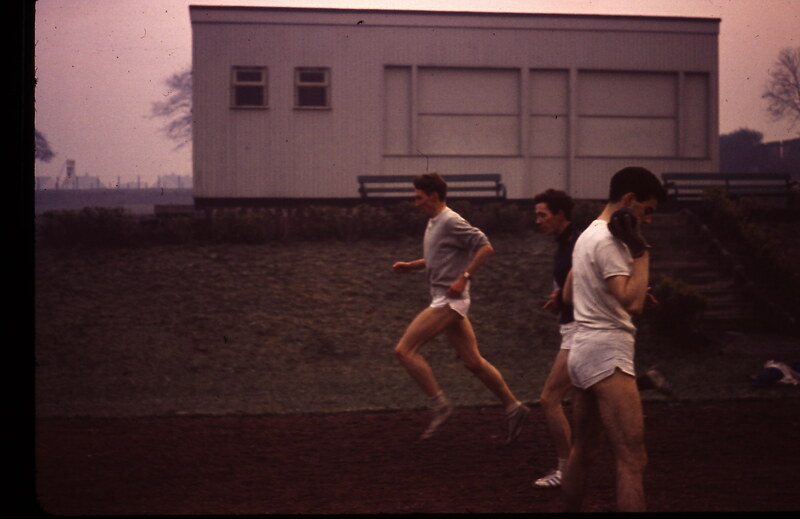 When David started to work on his running with John as coach, John was already coaching another Coventry runner who was very good indeed but whose name seems to have fallen from view. She was Sheila Carey – a top class 800/1500/3000m runner who competed in two Olympics (1968 and 1972 in Munich where she set a new GB record for the 1500m), helped set a world 4 x 400m relay record at the Edinburgh Games in 1970. John had met her at a training camp in Font Romeu when he was there with a GB team. One afternoon he decided to take the men, for whom he was mainly responsible, up higher to a plateau where they could do some training. He saw a woman climbing up with them – she was Sheila Taylor and then, on the way home, she asked John if he would coach her. He was living in Hamilton at the time, she was in Coventry. She was quite clear and determined and so the partnership was formed. She ran in the Edinburgh Commonwealth Games in 1970 where she was one of the fallers at the end of the women’s 800m and was unplaced. The story of the selection for Mexico in 1972 is interesting. The selection for the Olympics was the AAA’s Championship. Sheila wasn’t well on the day and failed to qualify. The first two were selected and John had a phone call the following week. he was told that there was to be a run-off for the third 800m place between Ann Smith, trained by Gordon Pirie in New Zealand and the third placer in the AAA’s. Sheila would be part of rest of the field. John had other plans and on the day of the race he told her that she was going to win and go to the Olympics. Tactics were simple – John would wait at a particular spot on the trackside and when he shouted to her to go, she was to really go for it all the way to the finish. She responded really well, left the other two in her wake and won. She went to Mexico. It is a little known fact that John spent some time coaching blind athletes, and Sheila went on to teach in a school for the blind where she also became involved in coaching blind athletes. Still running as a V65, see her recent profile at http://www.thepowerof10.info/athletes/profile.aspx?athleteid=1967 , Sheila was one of the Olympic torch-bearers in Warwick in 2012. It was the last time that world record was broken by someone other and African. He also won gold in Brisbane at the Commonwealth Games and set a British and European 3000m record of 7:32.39. * John Graham trained with him from 1982 to 1987 which included a second in Rotterdam in 1985 in 2:09:58, 2:10:57 when finishing fifth in New York in 1983 and two Commonwealth Games fourth places. * Judy Simpson won bronze in the 1986 European Games pentathlon and competed in three Olympic Games in 1982, 1986 and 1990, although her top achievement was winning gold in the Commonwealth Games at Edinburgh in 1986..
* Glasgow’s Lynne MacDougall ran in the Olympic 1500m Final in Los Angeles 1984 the high spot of a career of top class running including European Indoor Championships in 1984 and 1990, Commonwealth Games in 1986 and 1990, and with a range of personal bests ranging from 2:01.1 for 800m in 1984 right up to 2:36:29 for the marathon in 2002. * David Jenkins 4 x 400 silver in Olympics in 1972,silver in Europeans in 1974, USA 400m champion in 1975, Commonwealth gold in 1978. His 1971 victory in the European Championships at the age of 19 was quite superb. * David Wilson: Hurdler and High Jumper who took part in the 1972 Olympics as a sprint hurdler, in the 1970 Commonewealth Games as a high jumper and in the European indoors as a high jumper. He had personal bests of HJ 2:05, LJ 6.90, TJ 13.15, PV 3.30, Discus 36.64, 60mH 7.9, 110H 14.0 but never competed in a decathlon as far as I can discover. * David Bedford who asked John to coach him. David had just run in the European Championships in Helsinki where, after leading right up to the last lap, he was destroyed by a 54 second last lap by Juha Vaatainen and then finished sixth. Video of the last two laps can be found on youtube at this link – http://www.youtube.com/watch?v=Sfm_lTSOjhI . John had been there with David Jenkins and they met there. 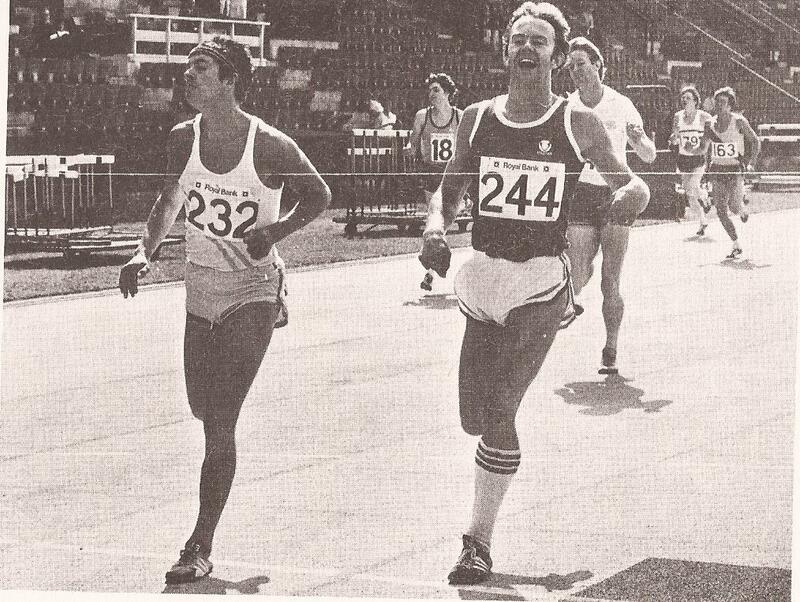 The following week John came along to Meadowbank to do his coaching when he saw this tall, thin chap in red socks jogging round the track. Recognising him, he asked what he was doing there and Bedford replied that he was what had brought him – he wanted John to coach him. They reached an agreement and worked together for many years. When he came up to Edinburgh David stayed with one of John’s runners, Dave Hislop and the partnership worked both athletically and socially. With over 170 GB athletes, there were obviously many, many more but you get the quality of the coaching from that sample. Women’s heptathlon to men’s marathon via sprints, hurdles and high jump. And with hurdler William Sharman he is still in 2013 producing champions! From Maryhill in 1960 to London in 2013 the span is heading to 55 years.If the figure in Wikipedia of 170 GB internationals is correct, it must be more than any other coach ever. The Mussabini Medal celebrated “the contribution of coaches of UK performers who have achieved outstanding success on the world stage.” Along with the Mussabini Medal, there also existed The Dyson Award, for “individuals who have made a sustained and significant contribution to the development and management of coaching and individual coaches in the UK”. 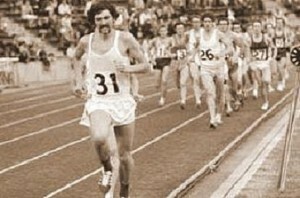 This award was named after Geoff Dyson, the first chief national athletics coach, who died in 1981. He was even at one point an agent getting the appropriate races for his athletes. 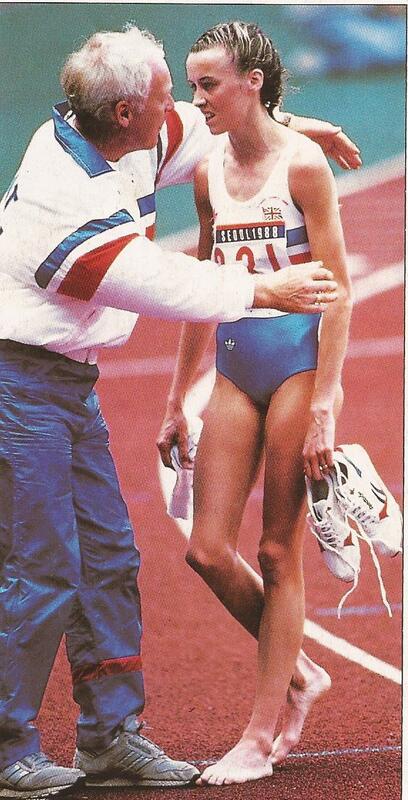 This was at the time when he was coaching Liz McColgan. It was difficult at times getting the appropriate races to fit into their carefully planned programmes, and some of the agents were out for themselves rather than for the athletes, so he offered to act as their agent, free of charge, and find them the appropriate competition. It did work rather well for his charges. Then there was ‘the day job’. After the Heriot Watt Director of Physical Education, he moved to Nuneaton as Deputy Chief Liaison and Recreation Officer where he soon moved up to be Chief Leisure and Recreation Officer before finally ending up as Director of Leisure Services in London with a staff of 600 to supervise. He was never still. And he thrived on it. Many coaches only ever have one national standard athlete or one Olympian in their charge, many very good coaches never have either but John held down a series of demanding jobs while coaching athletes to the highest honours and performing the many other associated functions noted above. The two comments below the article read as follows: “Back in the 90′s hey day of Gladiators, I was a working at the Pizza Express in Brindley Place, Birmingham, next door to the NIA where Gladiators was filmed. For several weeks every year, the paths outside were thronged with foam handed punters, and we often saw the Gladiators themselves walking past. Wolf even belied his image and would wave and smile at the kids. But the man himself, John Anderson was a regular customer. He would always come in by himself, and sit at table 13 and order two garlic breads for starters, and then a pizza. He was a really nice guy, and would happily sign autographs for the kids. Probably the nicest minor celebrity I met while working there, although it could be a tie between him and Bob Holness.” was the first and the second contrasts this with his on-screen appearance and reputation. It reads “The wimp ref Sky employed was awful. We nicknamed him ‘dad ref’ because ‘Gladiators Ready! ?’ sounded more like ‘dinners ready.’ ” which clearly indicates that John was just a bit tougher than the US original! There was even a set of toy gladiators produced with a six inch John Anderson figure: a toy firm called Character Options made and sold sets of the Gladiator characters – and of course there had to be one of John as well. Advertised as Gladiators: John Anderson 6″ Action Figure, it looked like this. “Who are the Flying Coaches? A range of coaches have been identified on the basis of their experience and expertise in technical events. 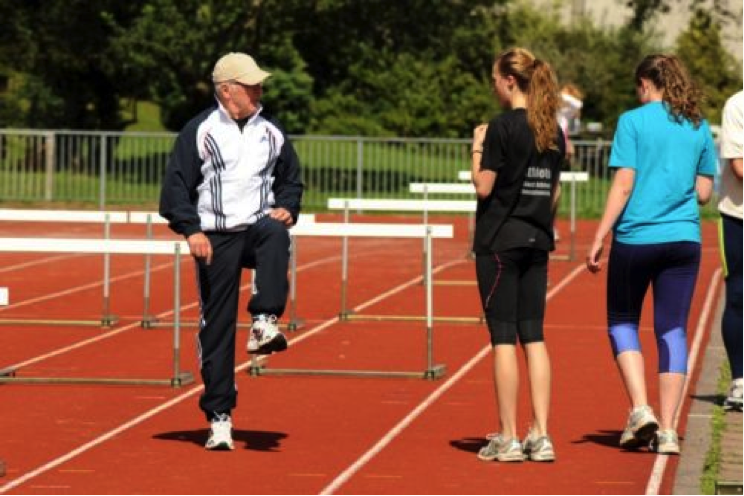 The Flying Coach Programme has seen the likes of former Chicago Marathon winner Paul Evans and World Champion coach John Anderson visiting clubs. Coaches interested in becoming ‘Flying Coaches’ should contact their area Club and Coach Support Officer to register interest. Wheelchair Racing: An introduction to basic push technique, chair set up and training programmes. Seated throws: Advice and guidance on seated throws, including throwing frames, tie downs and fixings. Coaching blind or visually impaired athletes: Advice and guidance on supporting blind or visually impaired athletes, to include guide running and competition pathways. Coaching deaf or hearing impaired athletes: Advice and guidance on coaching deaf and hearing impaired athletes. To include information on effective communication, technology, Deaf UK Athletics and competition pathways. Coaching athletes with a learning disability: Advice and guidance on coaching athletes with a learning disability. To include information on Mencap, Special Olympics and competition pathways. Other impairment specific visits: Advice and guidance on coaching athletes with a specific impairment (Cerebral Palsy, amputees etc). To include information on National Disability Sports Organisations and competition pathways. So it is not an easy option to follow for the coach – the last section is interesting with our prior knowledge of his work with blind athletes. – the links are just below the first picture of the three coaches! As we said above he is still coaching a small number of top class athletes but he is not yet easing himself into retirement as a coach. Success at the level he has enjoyed didn’t alter the fact that he was a coach who worked with athletes of all abilities. With his personality and ability he would have been a success in any walk of life: we are fortunate that he chose athletics.